A blank or generic cup is often a waste of useful marketing space. 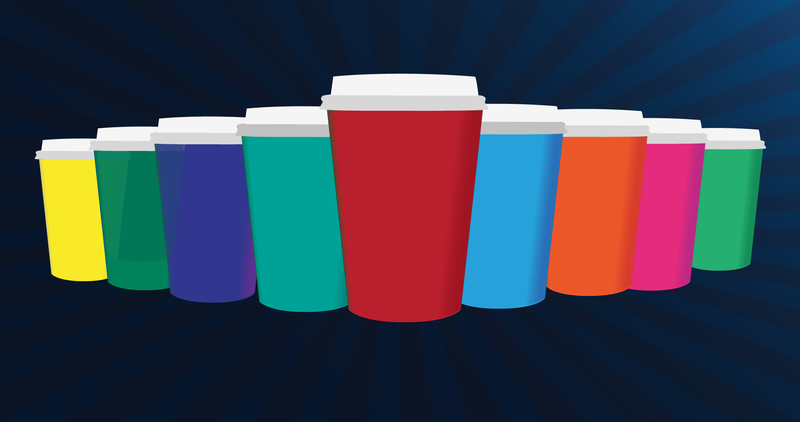 If utilized properly, printed takeaway cups can be an extremely effective and efficient marketing tool. A custom branded cup can help build brand loyalty, instil a sense of credibility and give a business a professional edge. Our Custom Printed Compostable Hot-cups offer a low carbon, low impact, low waste alternative to their oil-based equivalents. It is widely accepted that landfill does not offer a viable long-term solution to dealing with the large amounts of waste we generate. Using compostable hot cups goes a long way to addressing these issues, as it helps divert waste from already overcrowded landfills. 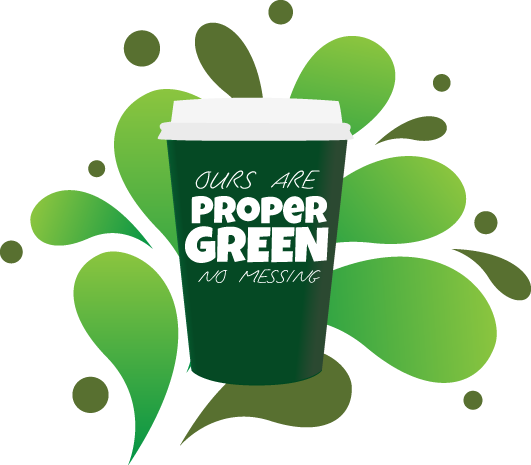 Our custom hot cups are printed using vegetable based inks and are CERTIFIED COMPOSTABLE IN IRELAND. They can be disposed of, along with food waste, in the brown bin and will turn into nutrient soil within 8-12 weeks when commercially composted in Ireland. OUR MINIMUM ORDER QUANTITY IS JUST 1000 CUPS. We offer full colour custom printing on our 8oz, 12oz and 16oz double wall compostable hot-cups, starting at just 1000 units, and with just a 3 week lead-time. With an MOQ starting at just 1000 cups (2 boxes) they are perfect for events, exhibitions, promotions, product launches or festivals – and of course, for getting a food business off the ground. It also means that food businesses can change the look of their printed cups often and without difficulty – great for retaining customer interest! 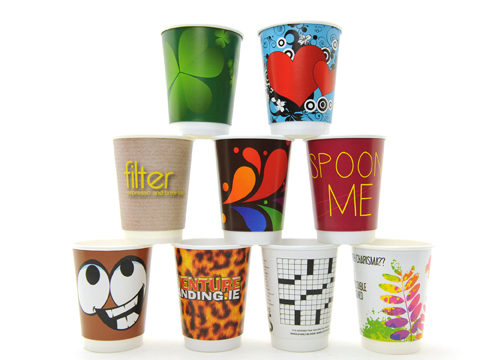 Our custom printed cups are proudly designed, printed and composted in Ireland. 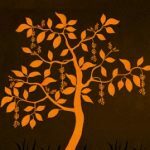 They carry the Guaranteed Irish logo, as well as the Compostable in Ireland logo, and because they are printed using vegetable-based inks they will fully break down into compost within 8 – 12 weeks when commercially composted. We have a dedicated graphic design team to help make sure your custom cups look as good as you can imagine!! If you have your own ideas we are delighted to listen to them and our free mock-up service means that you can see a finished product before full production is carried out. Call us today on 021 431 1842 to order your custom printed cups! Or email us on [email protected] to find out more info. We have been SO delighted with the cups that were created for us for our "Nom Nom Café". They gave us great ideas for our brand and have been full of enthusiasm - so nice when you're starting a new business! They are excellent designers and we would highly recommend them for any custom cups a business might require. A pleasure to deal with. We go to great lengths to source rare and exclusive coffees from around the world and roast them with precision and care. It is vital to us that our coffee is served in quality cups. It goes without saying thought that this is the best choice, simply on account of environment impact.